Take a good look at the benefits of a Mission Fed Classic Credit Card, and you'll see that this is exactly what you need: low rates, no annual fee, Mission Rewards and all of the advantages that come with a Classic Mastercard®. Your Classic Credit Card offers flexible benefits with Mission Rewards. With every qualified purchase* you earn points that you can choose to use for cash back, gift cards, airline tickets, hotel reservations, merchandise, local sports and theatre tickets, donations to local schools and many more options and fun activities all year long. To enroll in our Mission Rewards Credit Card program, call us at 858.524.2850 or 800.500.6328, or visit any branch, or send us a secure message within Online Banking. 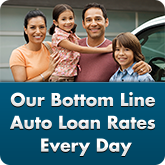 Low or no annual fee. 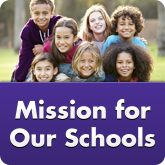 Our Mission Rewards program, where qualified purchases will earn you rewards points. Enjoy a wide variety of options, including cash back, gift cards, airline tickets, hotel reservations, merchandise, local sports and theatre tickets and much more. 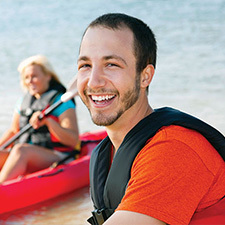 Great Mastercard® benefits such as Zero Liability, Price Protection and Extended Warranty. Your Mission Fed Classic Credit Card works around the world, anywhere that Mastercard is accepted! 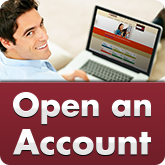 You can manage your account with Online Banking and Mobile Banking, using your computer or mobile device to check your balance, view your purchases and pay your bill online. We are right here in San Diego, and you can come in to visit any of our branches, where our Mission Fed representatives are happy to provide personalized assistance. 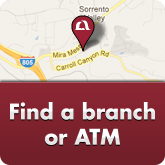 All of our branches are equipped to provide instant issue of a new or replacement credit card. With the Mission Fed Platinum Credit Card, you can be confident that you have a card that benefits you, whether you’re staying in San Diego or headed out of town. With no annual fee and all of the advantages that come with a Platinum Mastercard, this Platinum Credit Card will be your favorite card. Find out more about Platinum Credit Card benefits, then apply for a Credit Card today. Credit Cards at Mission Fed video on YouTube - Description: The speaker is a Mission Federal Credit Union employee and is standing in a Mission Fed branch. Throughout the entire video, they address the camera directly. Please use the YouTube captions functionality to access an alternative to the audio portion of the video. Mastercard ID Theft Alerts is a free service that alerts Mission Fed cardholders when personal information is being bought or sold online. Once you register for the service, you simply enter the personal information you want monitored, such as your Credit or Debit Card, social security number, driver license and other personal information, and you will be notified if the information is ever listed on the dark web. Mastercard has partnered with CSID, an industry leader in identity protection and fraud detection solutions, to help keep your information safe. Sign up today at Mastercard.us/en-us/consumers/features-benefits/id-theft-protection.html. Emergency Wallet Replacement will help to replace your cards and documents if they are lost or stolen. For assistance, please call 1.800.Mastercard. Expert Resolution Services are available 24/7 when your identity has been stolen. A certified specialist will guide you through the process. For assistance day or night, call 1.800.Mastercard. Mission Fed is happy to offer Apple Pay, Google Pay and Samsung Pay with your Mission Fed Classic Credit Card on supported devices. With these services, you can use your mobile device to safely save your Credit Card information and pay at participating stores in person and online. Apply online right now for a Credit Card. If you’d prefer to apply for a card in person, you can click the “Make an Appointment” link below to use our easy online reservation system to make an appointment at any branch to learn more about our Classic Credit Card and to apply for one. 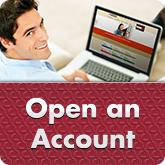 You can visit us at any of our Mission Fed Branches to apply for a Classic Credit Card. Zero Liability You pay only for purchases you have authorized on your card. Conditions and exceptions apply. See www.mastercard.us/zero-liability.html for details. Travel Accident Insurance Provides coverage up to $500,000. Extended Warranty Doubles the original manufacturer warranty up to a maximum of twelve (12) months on most items you purchase. Mastercard Global Service™ Provides 24/7 customer service assistance with Lost and Stolen Card Reporting, Emergency Card Replacement, Emergency Cash Advance, as well as assistance with locating ATMs and help with account-related questions. Price Protection Purchases you make entirely with your covered card are covered for sixty (60) days from the date of purchase as indicated on your receipt for the difference between the price you paid and the lower price advertised. MasterRental™ Insurance Covers deductible not paid by standard insurance for collision of or damage to a rental vehicle when you rent a vehicle for thirty-one (31) consecutive days or less with your covered card. Priceless® Cities Exclusive offers just for Mastercard cardholders. Check www.priceless.com. Year-End Summary Statements A year-end summary statement available within two months of the end of each calendar year. Automatic Billing Updater Mastercard’s free service automatically updates your debit and credit card information under certain conditions when you have card-on-file or recurring payments set up with participating merchants. For more information visit missionfed.com/ABU. Shopping online is easy with your Mission Fed Mastercard. Take advantage of Mastercard SecureCode to shop safer online. Learn more. Mastercard, MasterAssist and MasterLegal are registered trademarks of Mastercard International Incorporated. Certain terms and conditions apply. Mastercard Global Service is a trademark of Mastercard International. ID Theft Alerts are limited to cardholders with a US issued card. Additional terms and conditions apply. ID Theft Protection and ID Theft Alerts are registered trademarks of Mastercard International, Inc.
All loans are subject to approval. Programs, rates, terms, conditions and services are subject to change without notice. Mission Fed’s 0% Intro APR is good for 12 months on purchases and balance transfers posted within the first 90 days of a new Platinum and Preferred Platinum Credit Card account opening. No annual fee and all the advantages that come with a Platinum MasterCard. With low rates, no annual fee and all of the advantages that come with a Platinum Mastercard®, this will be your favorite card. Give yourself the credit—and benefits—you deserve. Open a Mission Fed Credit Card. Give yourself the credit—and benefits—you deserve. 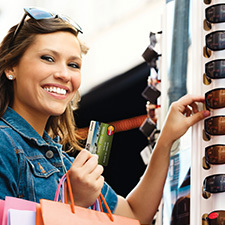 Open a Mission Fed Credit Card and enjoy low rates, Mission Rewards and a multitude of Mastercard® benefits.